A hockey-loving schoolgirl’s rare neurological battle sees her napping 10 times a day even during MATCHES – when her teammates gently guide her behind the goal for safety. Nicole Hirst ‘slept through primary school’ after being diagnosed with the long-term brain disorder Narcolepsy when she was six after getting an infection from a sore throat. The 14 year old must always be supervised, even in the shower, in case she suddenly nods off or falls over during a cataplexy attack. These attacks cause her to collapse in a paralysed state whenever she laughs or gets scared – meaning she has to sit somewhere safe whenever watching comedy or entertainment TV shows. The teen, who snoozes while walking round the supermarket and in the classroom, also suffers from horrendous night terrors where she thinks she’s being chased by an unknown figure. Nicole from Wakefield, Yorkshire, has been playing hockey three times a week for four years after wanting to take part in something more active, but her condition meant she would regularly nod off during matches. Nicole said: “In most games, particularly before I was on the medication, I’d fall asleep at least once. “My teammates know what to do. They move me out of the way and carry on playing or they’ll help me behind the goal and I’ll wake up. Before getting the condition under control with medication, Nicole was sleeping up to 23 hours a day. 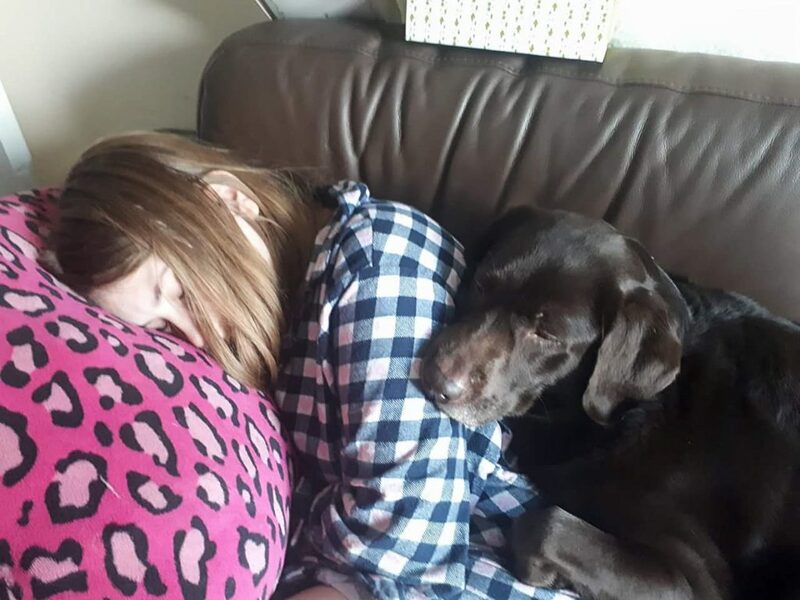 The teen is determined not to let her condition get her down and has even invented a special cushion to protect her when she spontaneously falls asleep in the car – which has won praise from technology industry experts. Nicole said: “Sometimes I can tell if I’m going to go to sleep, my eyes feel heavy especially when it’s warm. “On a very bad day I’ll sleep in every lesson, usually for 10 or 20 minutes, but on a good day I feel normal and will just sleep when I get home from school. “Sometimes I wake up and snap straight out of it and carry on as normal and sometimes I’ll ask what happened because I can’t remember it. “I can remember bits of primary school – like my friends having to wake me up in assembly. “I can normally tell when I’m going to have a cataplexy attack because my face feels weird and my eyes feel like they’re going to roll. “My body feels really heavy and I can’t move anything. “I know it’s going to happen if I’m laughing. If it’s really funny I can’t hold myself up and if I try not to laugh it makes it worse. “I used to watch Ant and Dec’s Saturday Night Takeaway and I’d have a cataplexy all the time but it was okay because I was sat down. Mum Lisa Hirst, 42, said: “When she was at primary school she’d sleep for probably 23 hours a day. “We were toileting her while she was asleep and waking her up to feed her and giving her water through a syringe. “There was one week where she slept for six days solid. “But she’d always go to school and they set up an area with cushions so she could nap there. Usually she’d just nap at her desk. “When she was about 10 I noticed she was pulling funny faces when she was laughing or happy. “I’d ask her what she was doing and she said ‘I don’t know’. Gradually they got worse and the school noticed them. 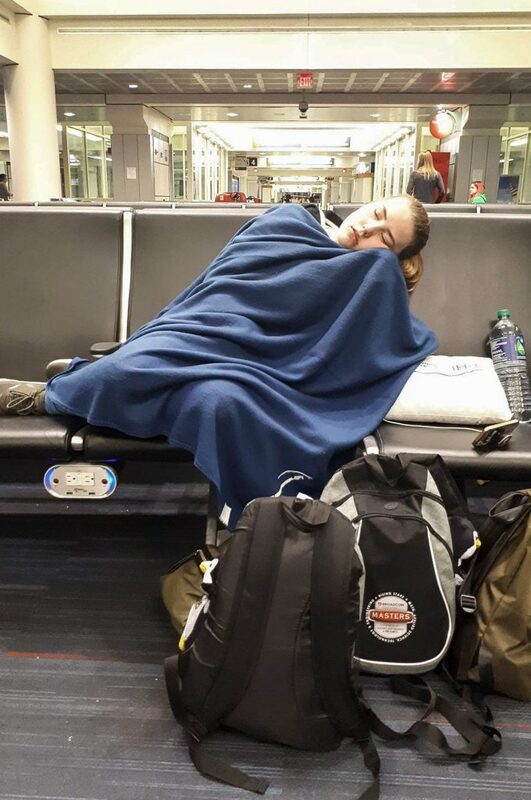 “She was diagnosed with cataplexy which is a side effect of narcolepsy. The only way to describe it is it’s like she’s drunk, her friends said it’s like she’s got lots of drugs in her body. “The more severe ones come when she’s really laughing or really scared then she’ll collapse to the floor. They happen about twice a week now. “She’s fully conscious and aware of her surroundings but she can’t move or speak, her muscles don’t work. It’s like she’s paralysed and this lasts for about 10 minutes. “She doesn’t go out with her friends because she’s worried she’ll collapse when she’s laughing and that somebody will have to look after her. “She falls asleep during exams and lessons or during trips to the supermarket, travelling and hot weather are big triggers. Narcolepsy is rare long-term disorder where the brain is unable to regulate sleeping and waking patterns normally, which can result in excessive daytime sleepiness, sleep attacks, sleep paralysis and night-time hallucinations. Special needs teaching assistant Lisa and mechanic husband Jason Hirst, 47, first noticed Nicole was sleeping a lot after she got a sore throat during a family holiday when she was six. Lisa said: “She got the strep infection then she started to sleep a lot – she was sleeping more than she was awake. She would have this vacant look on her face like she was dreaming. 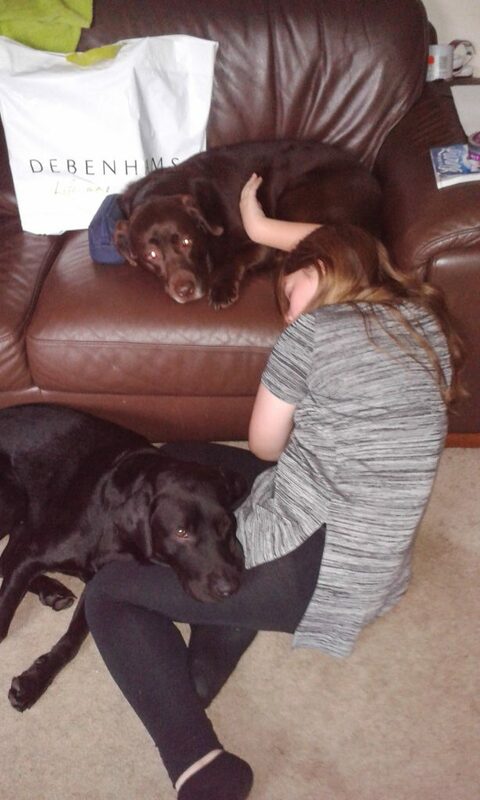 “At first we thought it was because she’d been poorly, we’d never heard of narcolepsy. “Then when she was in year two her teachers asked to speak to us about it. “They said they were really worried because she’s sleeping through school and asked if she was sleeping at night. I told them she was going to bed at 7pm every evening. “It was starting to get quite serious and one day she just broke down. Lisa took Nicole to a GP half a dozen times but blood tests and an EEG test to measure brain activity came back negative. After a chance encounter with a locum doctor she was referred to a specialist at Leeds General Hospital and following a lumber puncture was diagnosed with narcolepsy – around two years after she first started experiencing symptoms. 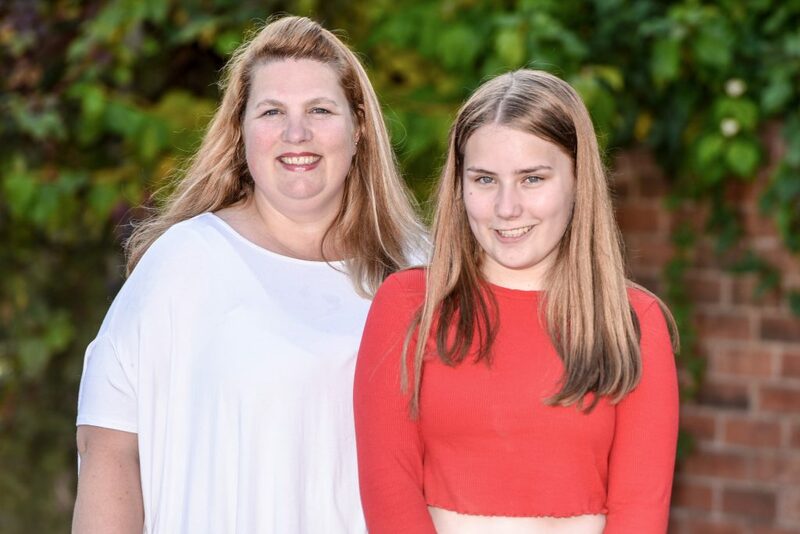 Reluctant to start medication because of the side effects, Nicole carried on at primary school and remarkably was able to pass her SATs exams with good marks despite sleeping all day – and even won a prize for 100 per cent attendance. 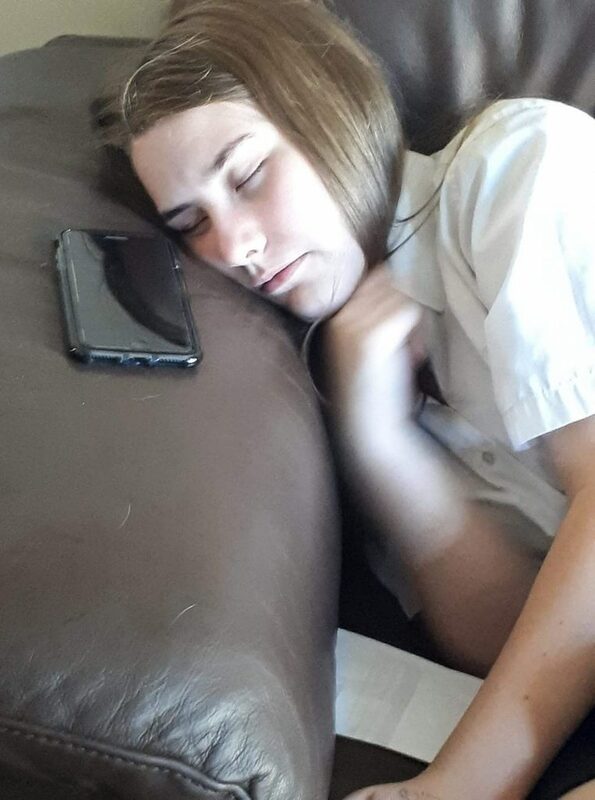 When she started secondary school Nicole started taking medication to help with the narcolepsy and recently started on tablets to control the cataplexy attacks. Mum-of-one Lisa said: “Now as soon as she comes home she sleeps for about three or four hours then I wake her up for her dinner. Homework that’s meant to take about half an hour ends up taking three days. “The worst thing about it is the night terrors. She has no clue that she’s having them and can’t remember them when she wakes up. MERCURY PRESS. “They’re the scariest thing that we’ve ever seen. She looks totally awake and the fear in her face is awful, it’s real fear, that’s the worst thing. “It can be about anything. She had one about a man chasing her and she really believes it’s happening. 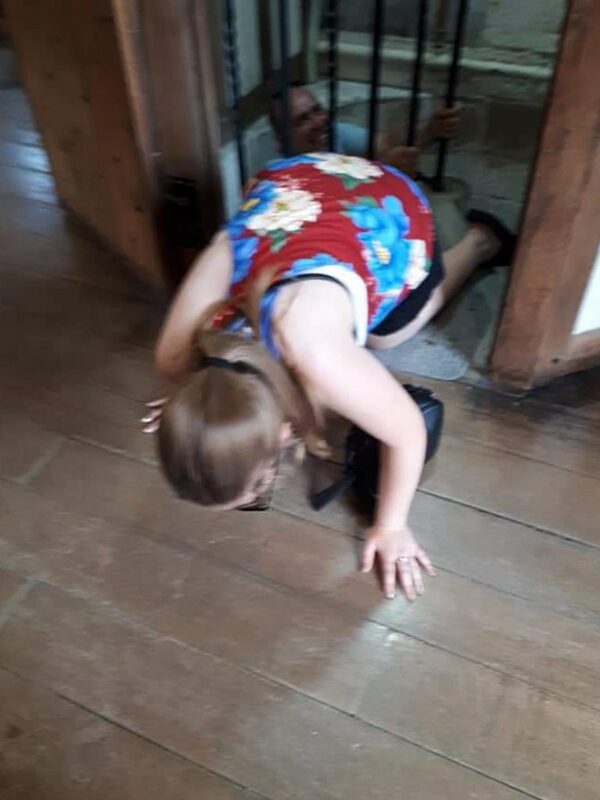 “She’s never managed to get out during the night, but we make sure we lock the front door and hide the key so she can’t. “In the early days as a parent we couldn’t see a way through it. We didn’t know how she’d be able to cope with it. “She’ll probably never be able to drive and even if she could she doesn’t want to out of fear of causing an accident. “She gets frustrated because I have to sit near her when she has a shower and keep asking her if she’s okay. 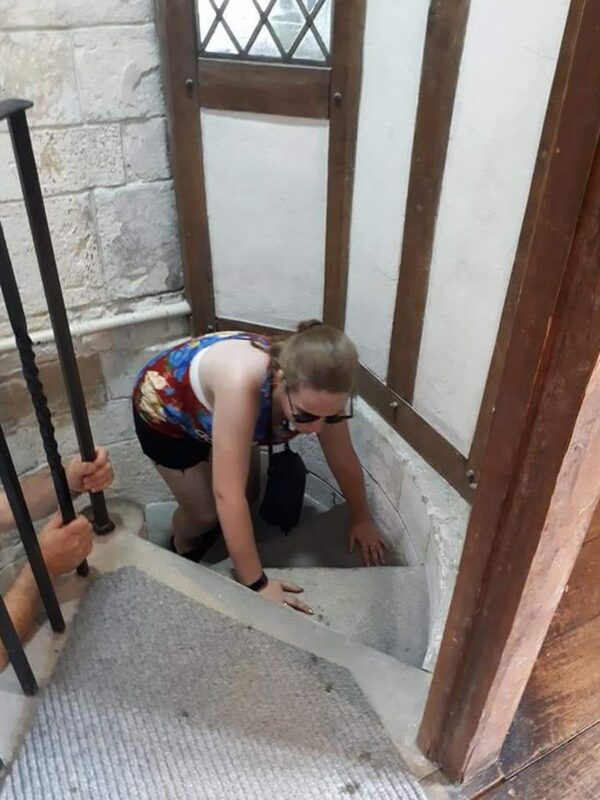 There’s a danger she’ll fall or end up face down in there. “When she first got the cataplexy she’d refuse to smile and held laughter in, it was awful. I told her that she couldn’t live like that and she has to be able to have fun. “She does the best that she can and she tries to be positive. We always say there’s someone else worse off. “The reaction towards it does anger me, there’s a lot of ignorance. 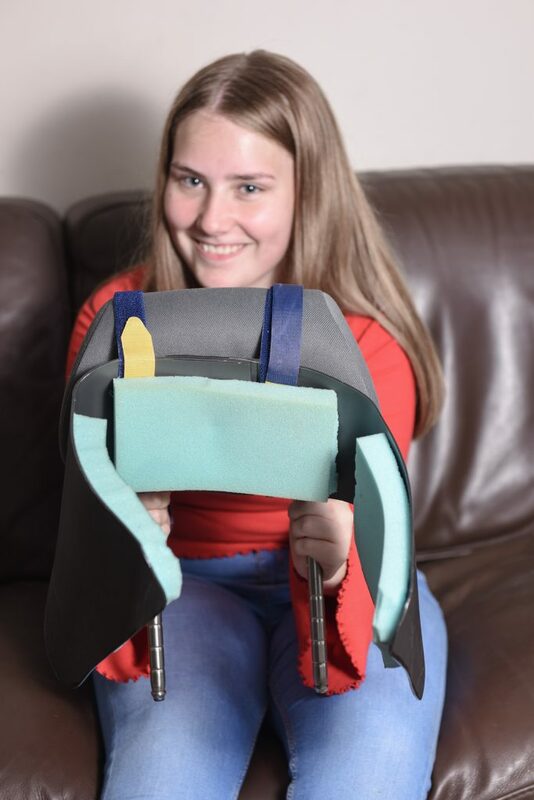 Aspiring engineer Nicole decided to use her disorder to help others by creating the Narcolepsy Sleep Support Cushion (NSSC) which keeps her head in place when she falls asleep in the car. 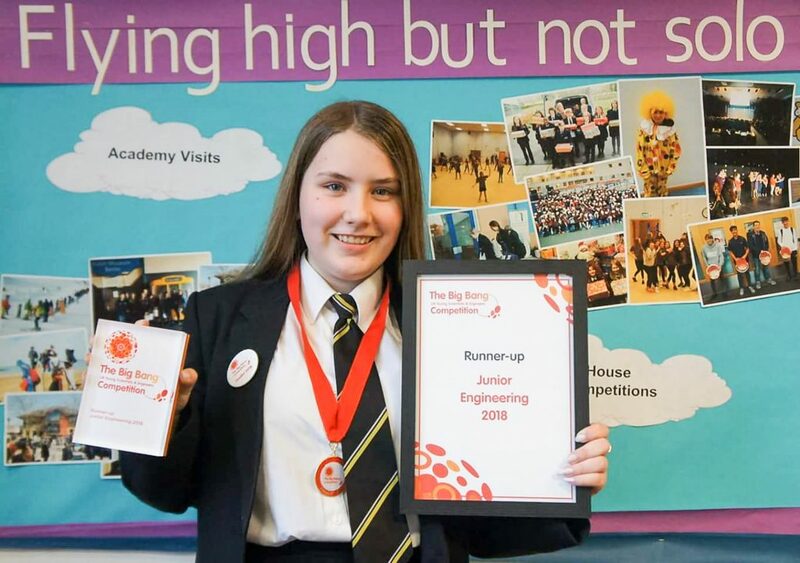 After presenting the idea at the Team Tech competition, she was invited to engineering contest The Big Bang Competition where she was named junior engineer of the year runner up 2018. 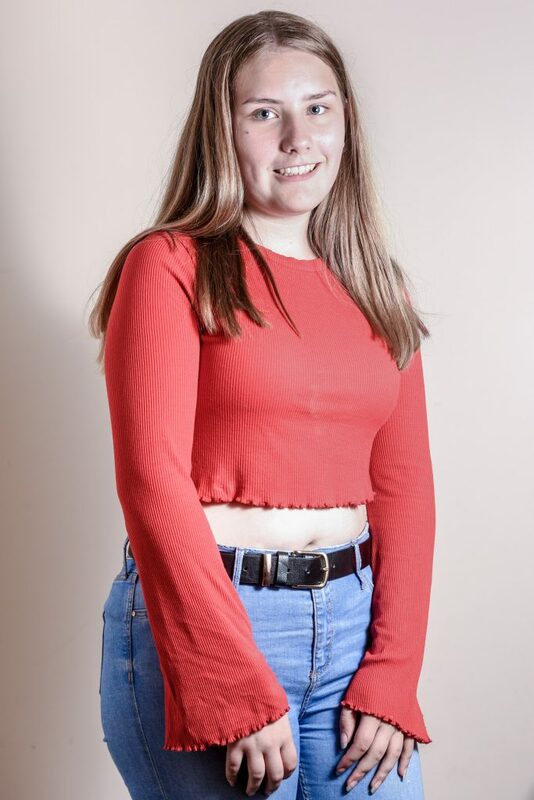 Nicole, who also travelled to the US to represent the UK at the Broadcom Masters competition, said: “I wanted to design things that help with my problems. “One is how uncomfortable it is when I fall asleep in the car. My head rolls, I get a stiff neck and I feel grouchy and grumpy when I wake up. “The other is the lack of independence, I can’t go anywhere without someone being with me. “My friends are able to go out where they want and not worry about anything. “I worry about going out with friends because they have to make sure I’m alright and look after me. I sometimes fall asleep when I’m walking and don’t realise I’m doing it. “I’m working on something else that will help me with my independence so I can live a normal life – but I’m keeping my idea secret for now. “I also want to highlight invisible disabilities, I like talking to people and inspiring them. • Narcolepsy is a rare long-term brain disorder that causes a person to suddenly fall asleep at inappropriate times. • Narcolepsy doesn’t cause serious or long-term physical health problems, but it can have a significant impact on daily life and be difficult to cope with emotionally. • Many cases of narcolepsy are caused by a lack of the brain chemical hypocretin (also known as orexin), which regulates wakefulness. The lack of hypocretin is thought to occur because the immune system mistakenly attacks the cells that produce it or the receptors that allow it to work. • Other triggers include hormonal changes, major psychological stress or an infection. • It’s estimated the condition affects at least 25,000 people in the UK. • There’s currently no cure for narcolepsy, but making changes sleeping habits and taking medication can help minimise the impact.